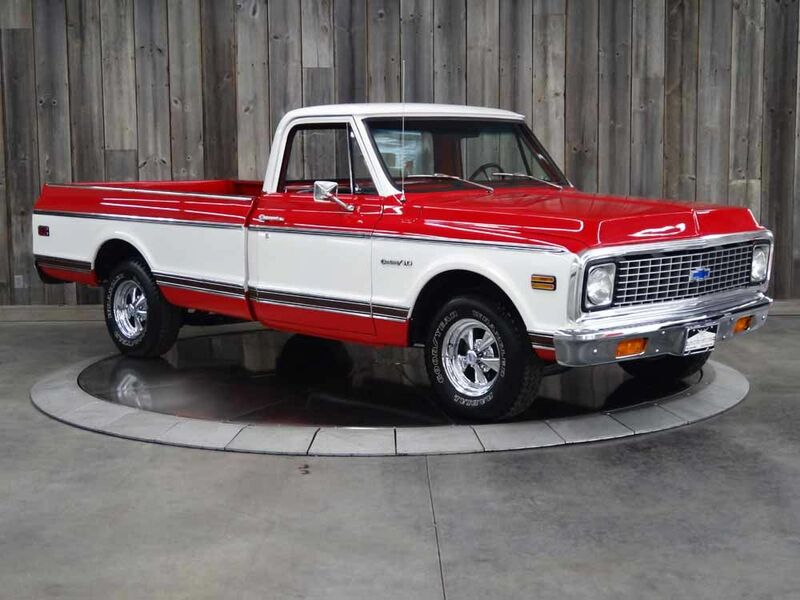 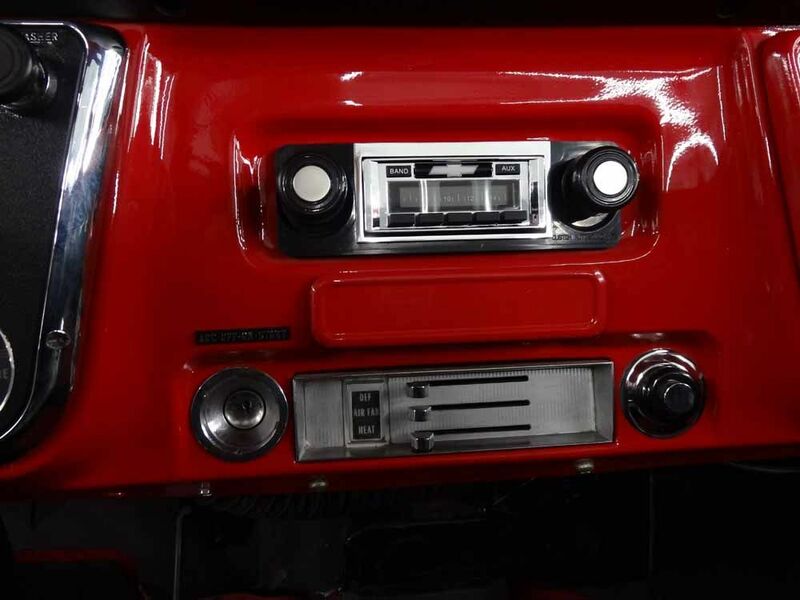 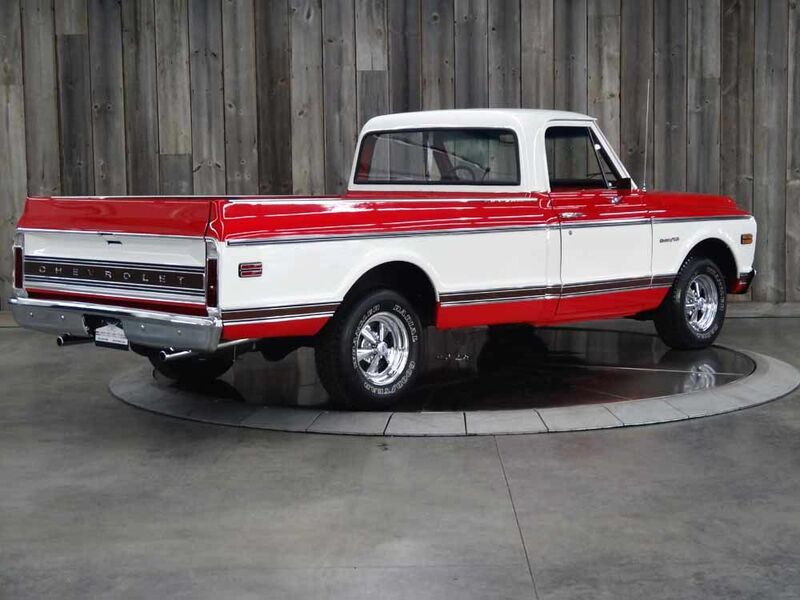 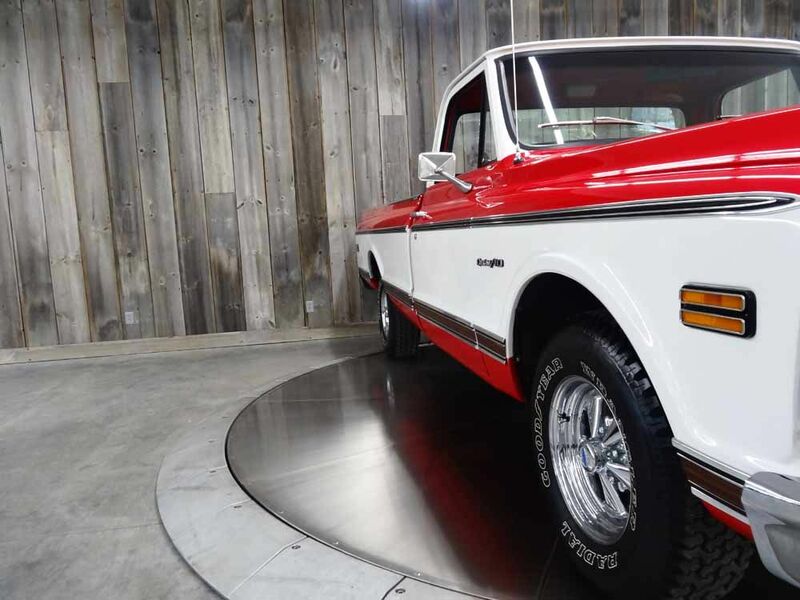 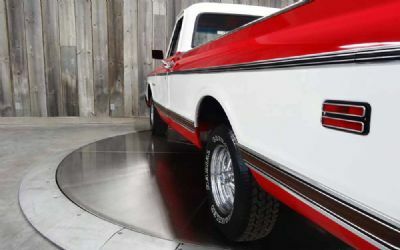 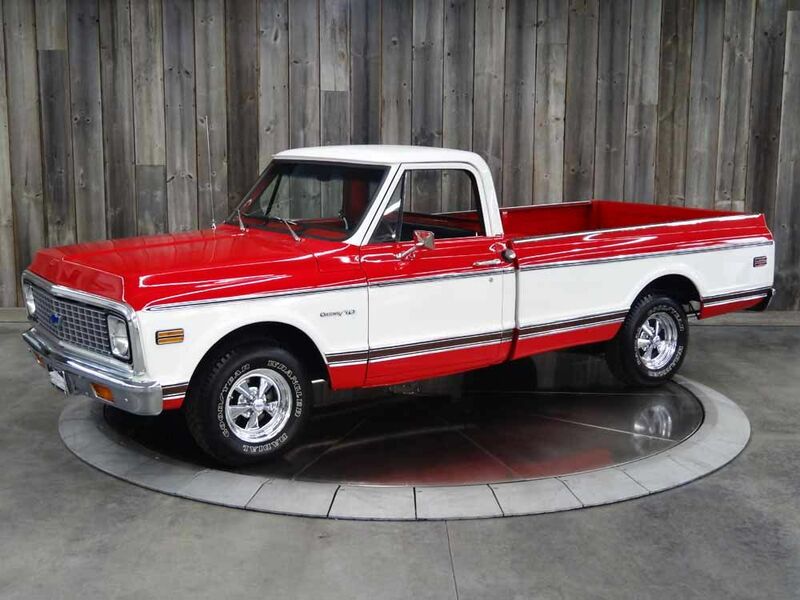 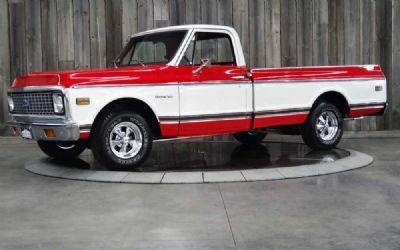 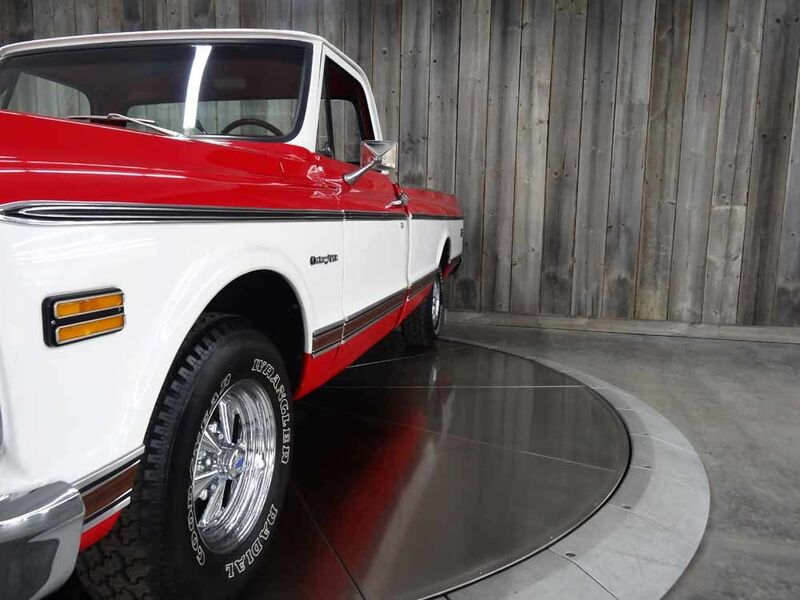 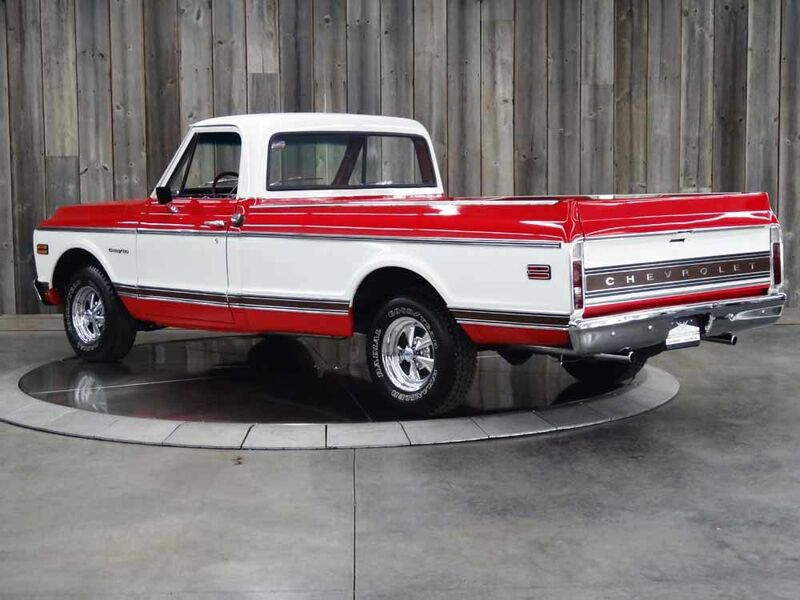 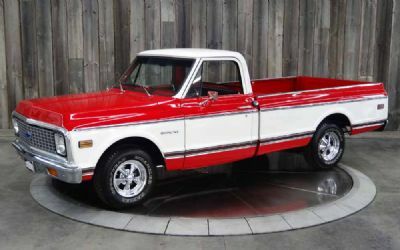 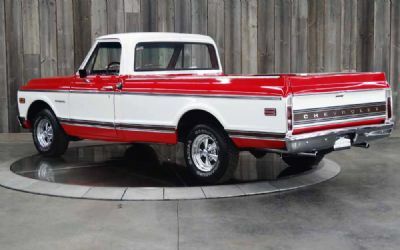 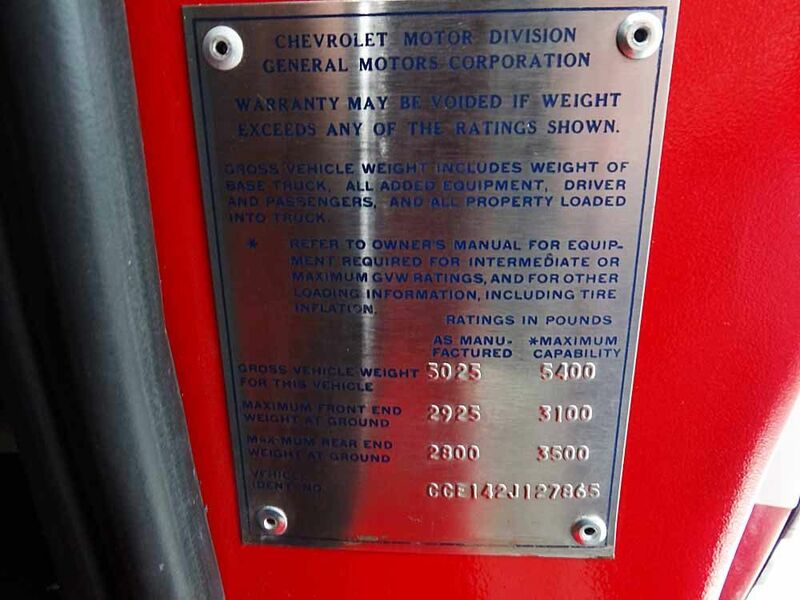 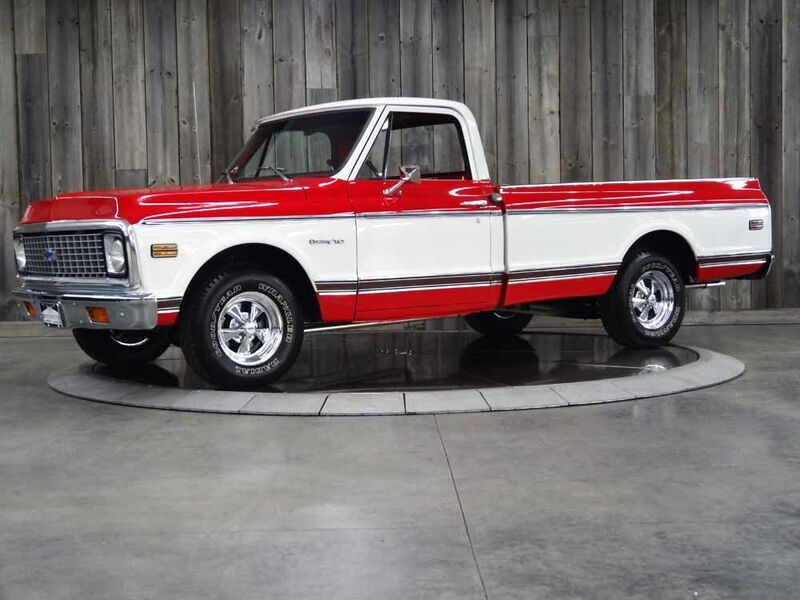 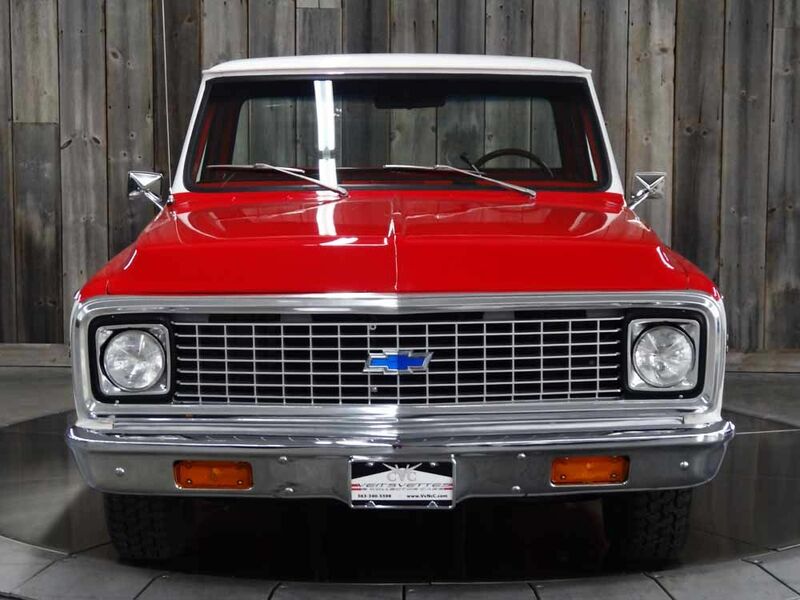 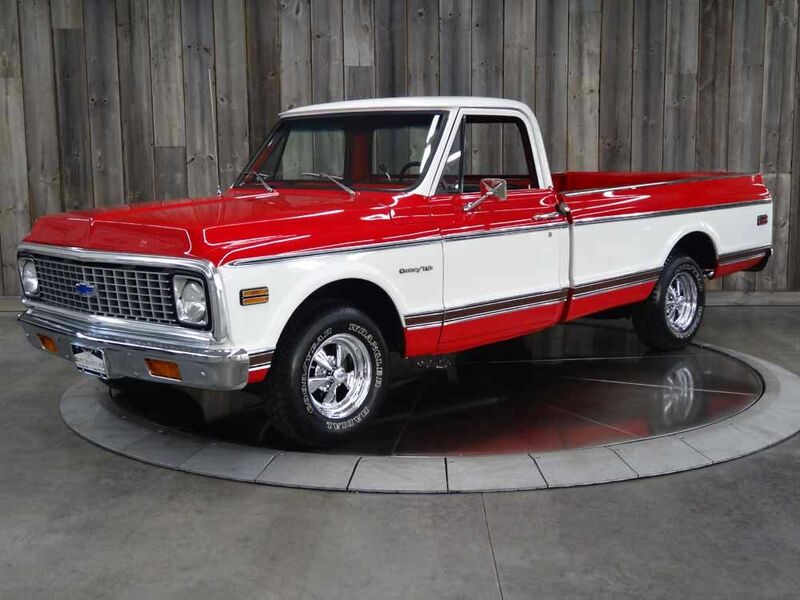 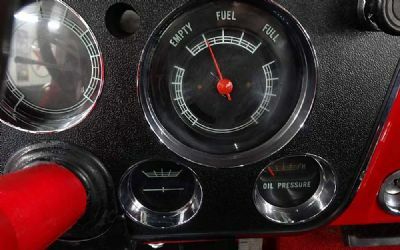 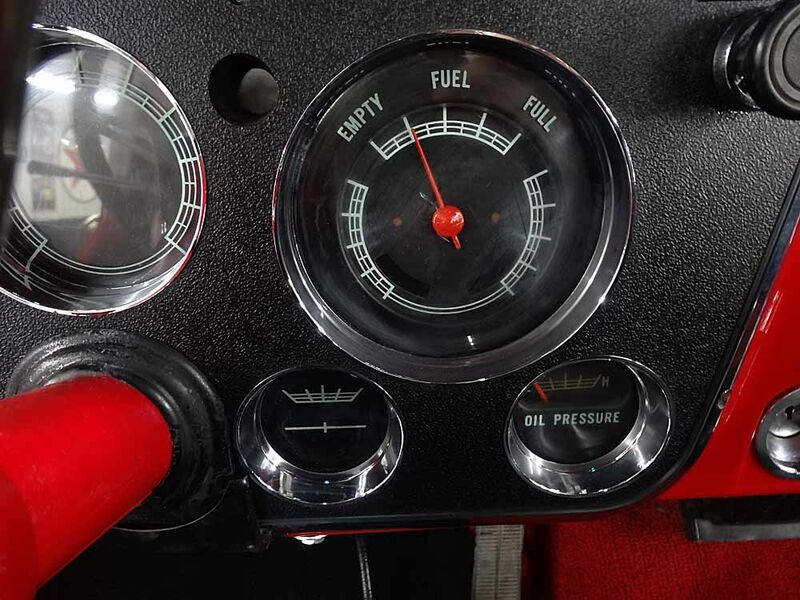 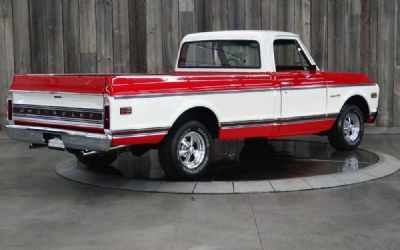 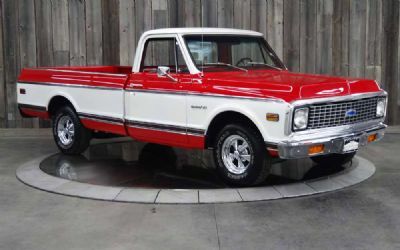 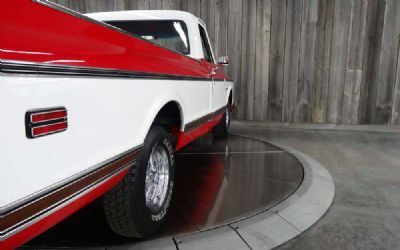 1972 Chevy C10 Pickup. 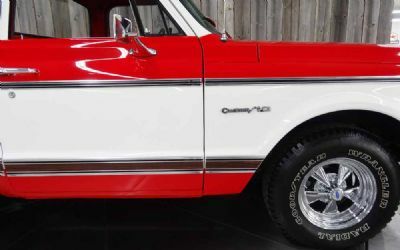 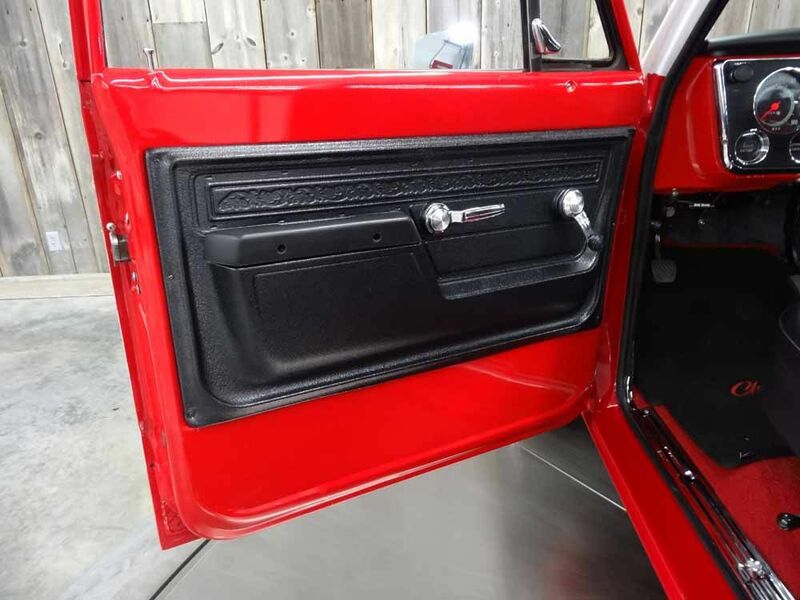 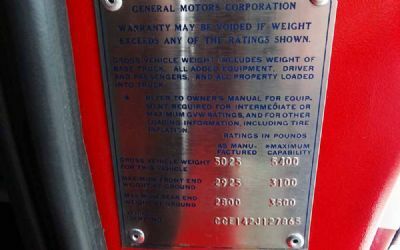 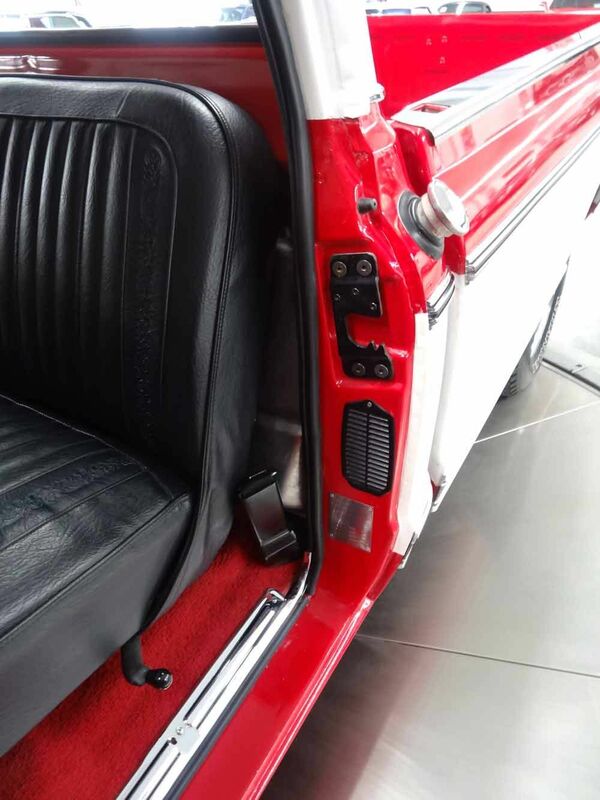 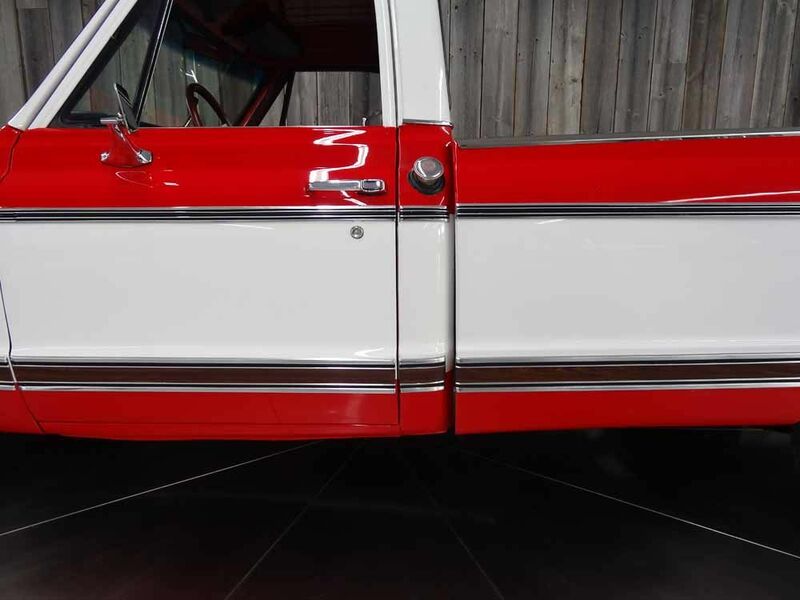 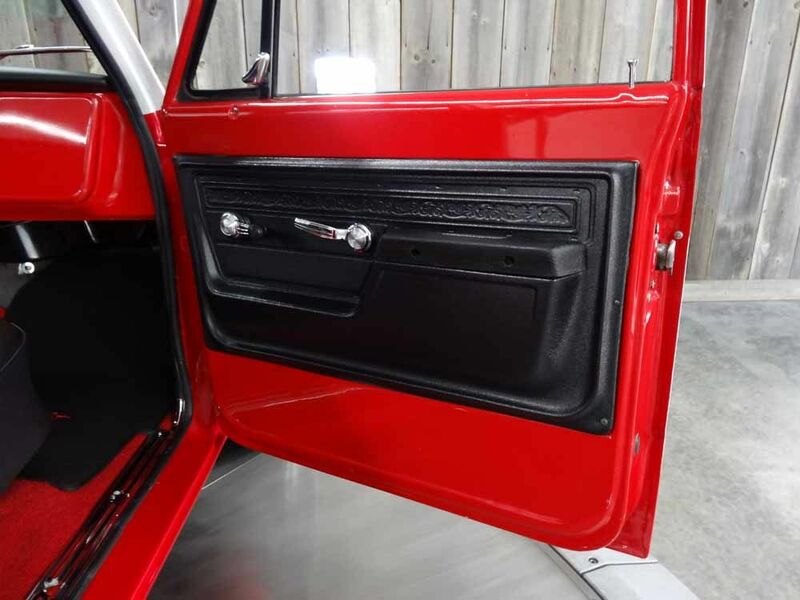 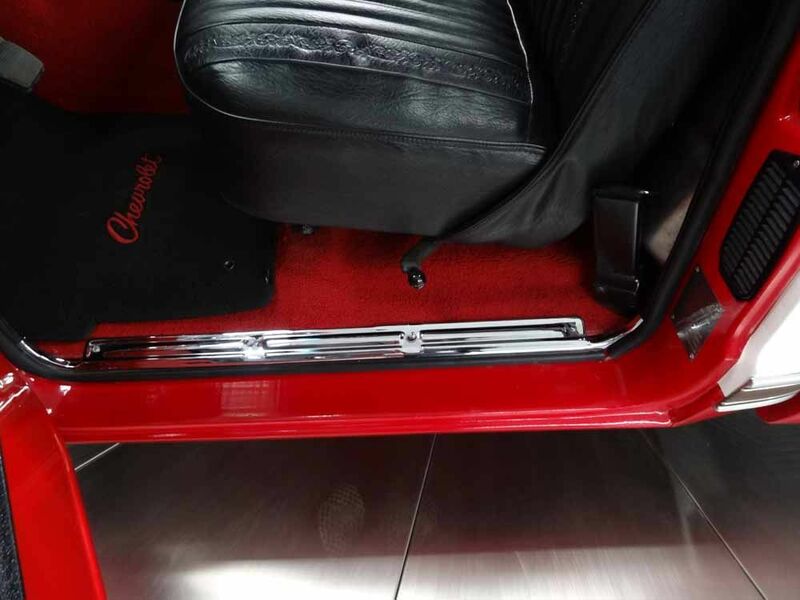 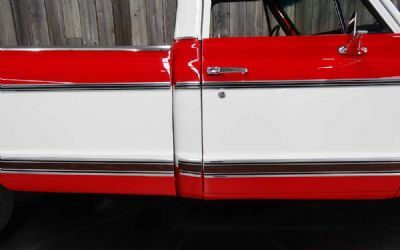 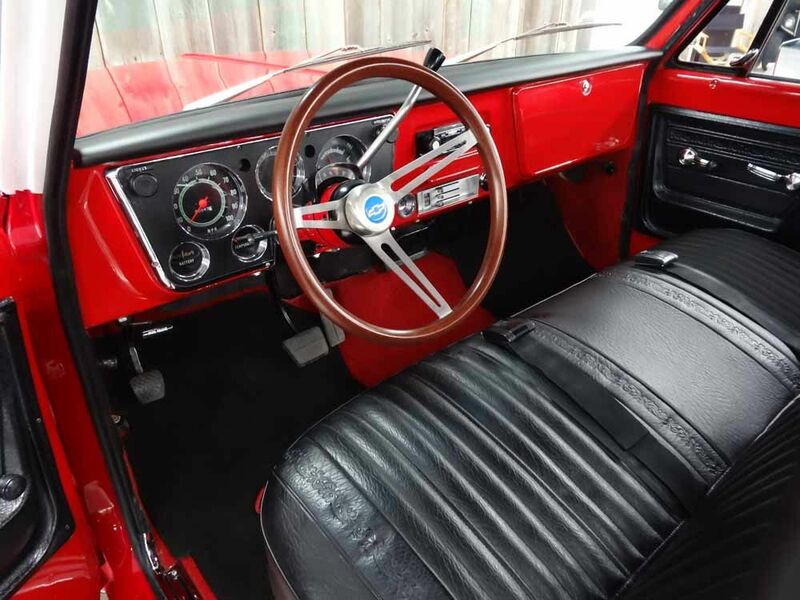 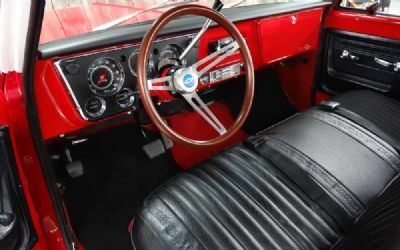 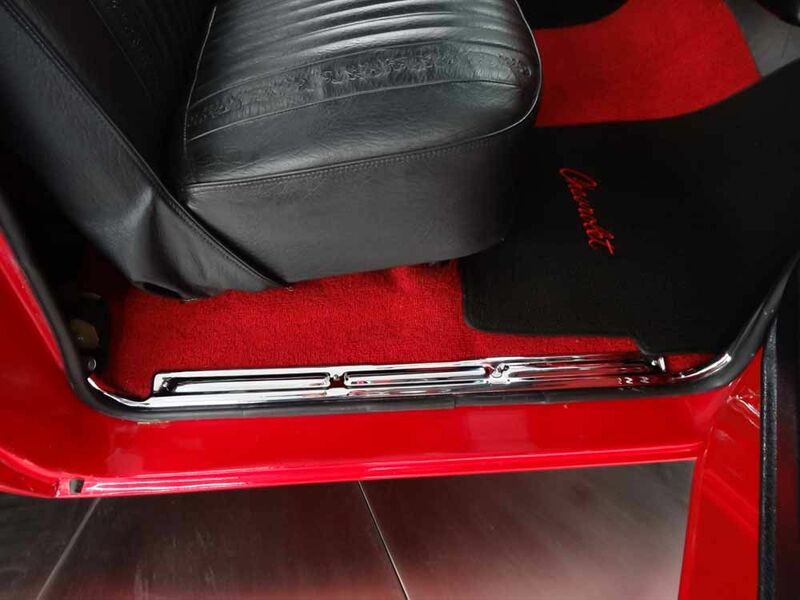 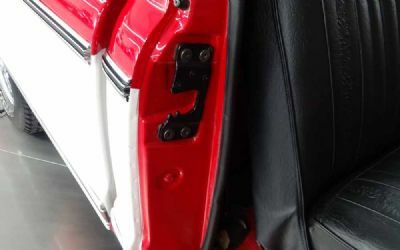 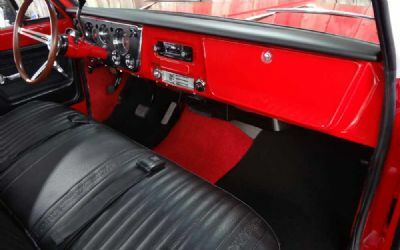 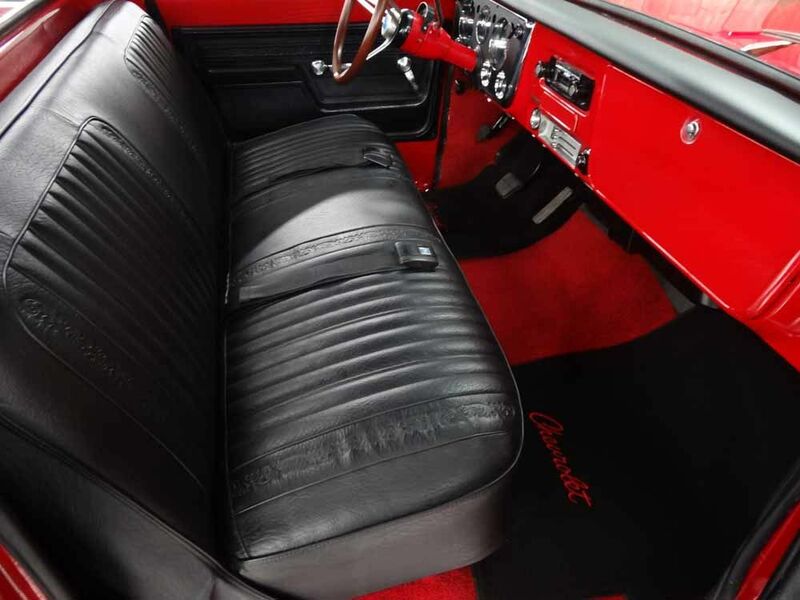 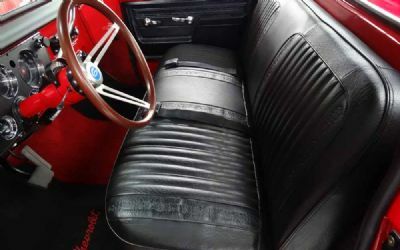 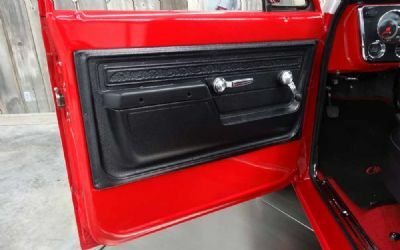 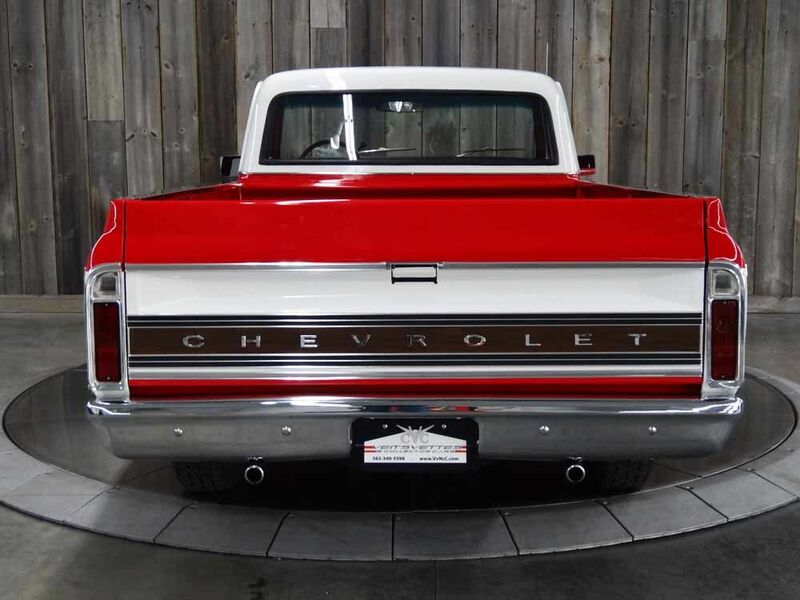 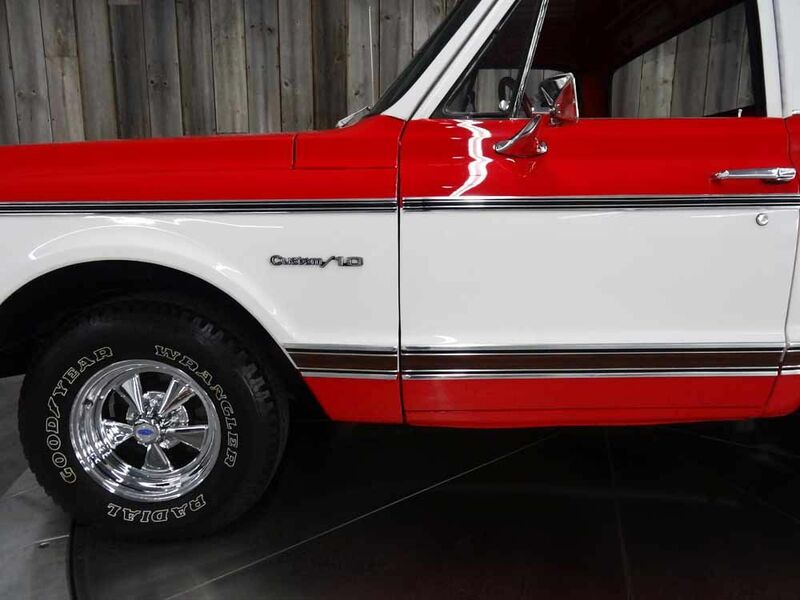 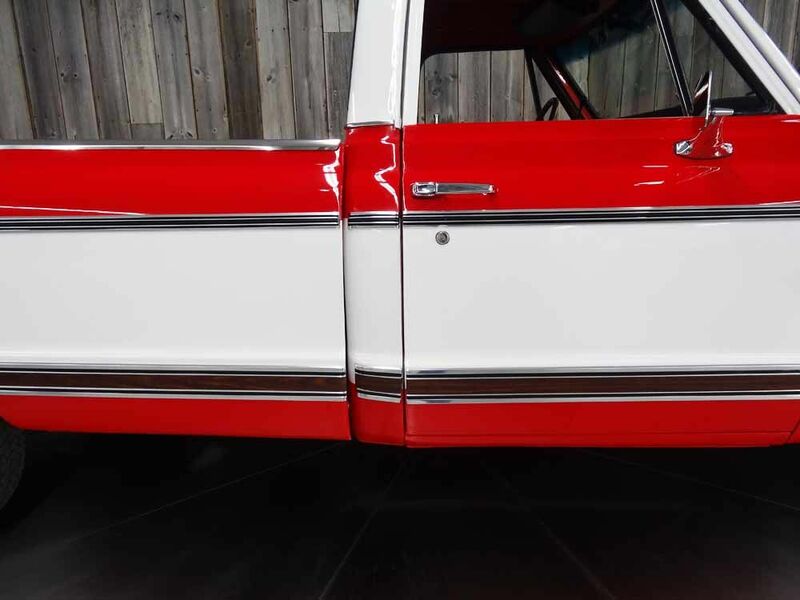 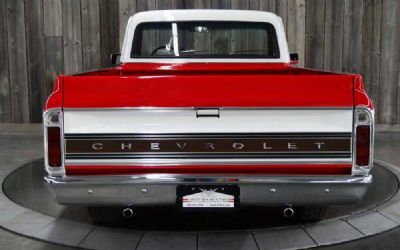 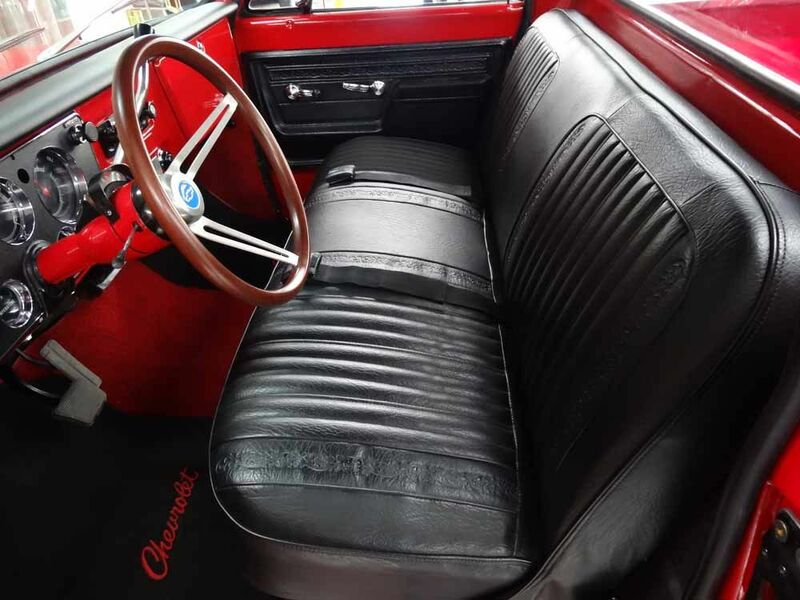 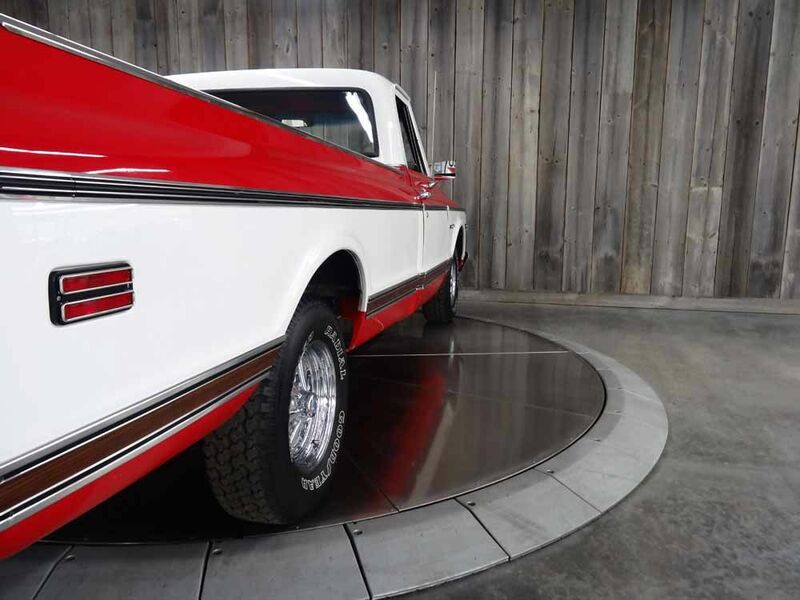 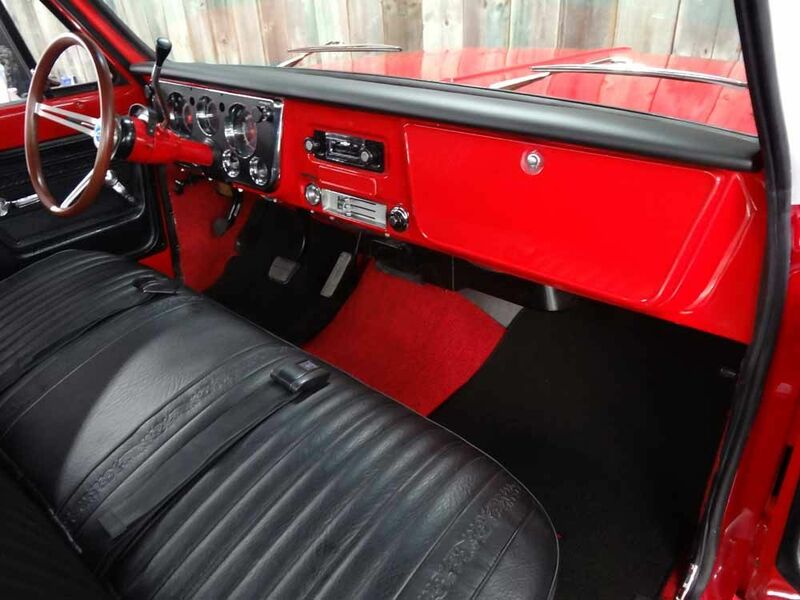 Frame Off Restored Beautiful two tone Red & White Exterior with Black vinyl seat and red trim interior. 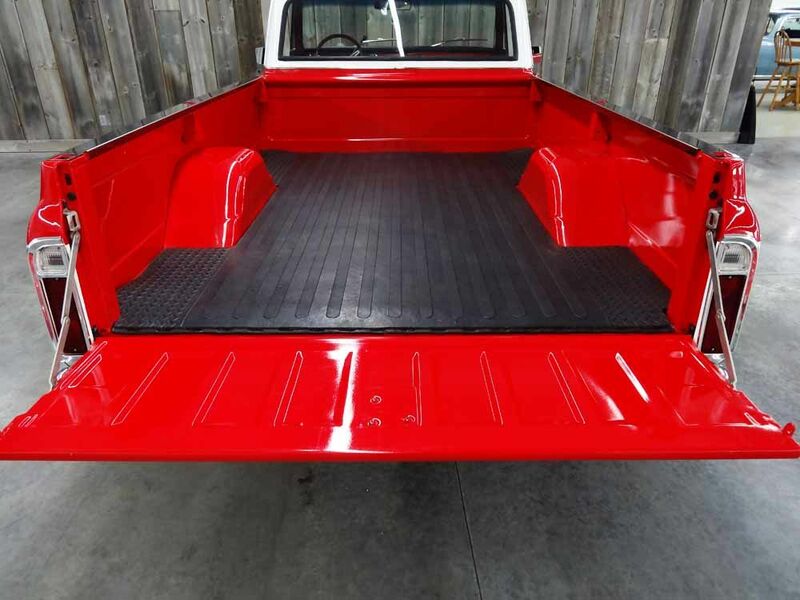 Body - Rust free truck Paint - Base Coat Clear Coat. 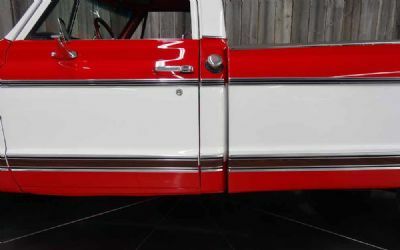 Chrome - All new bumpers and trim. 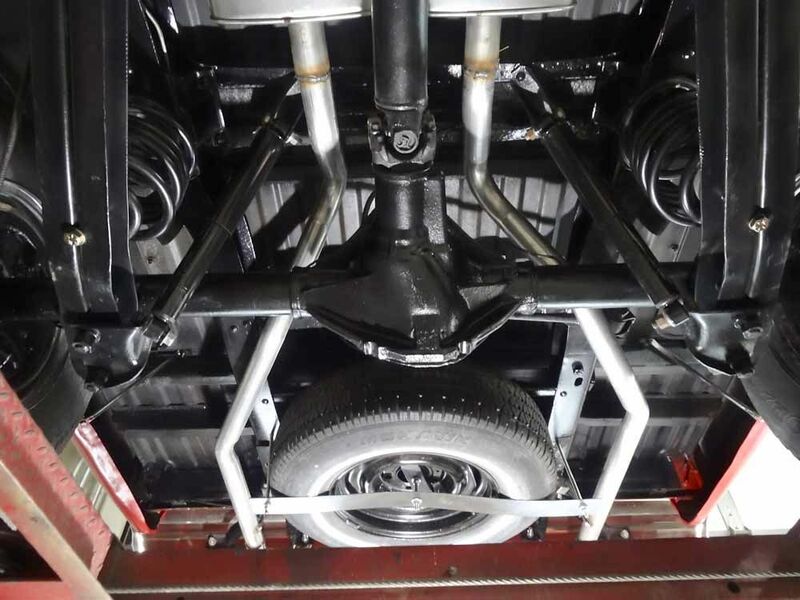 Frame and front end parts – powder coated. 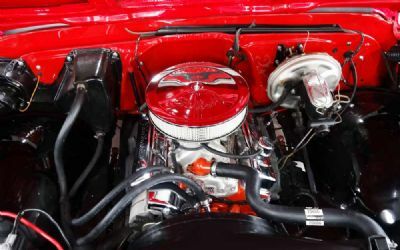 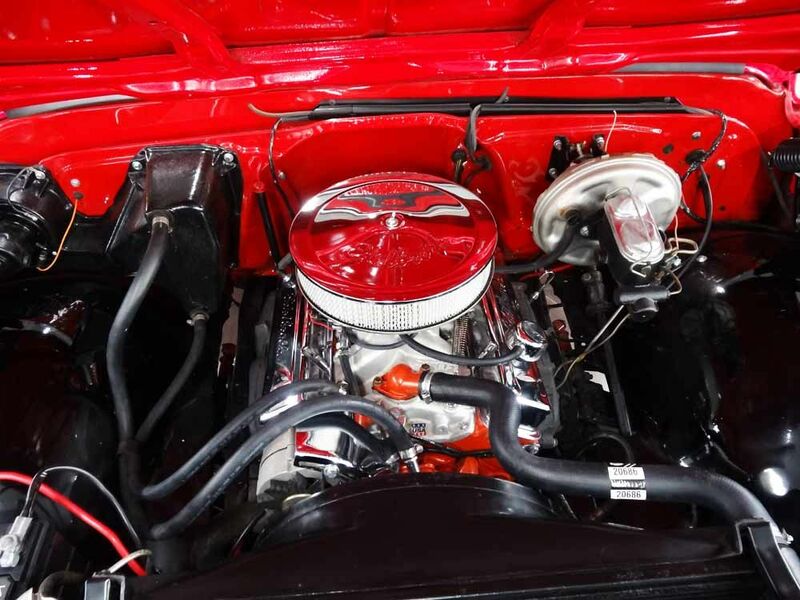 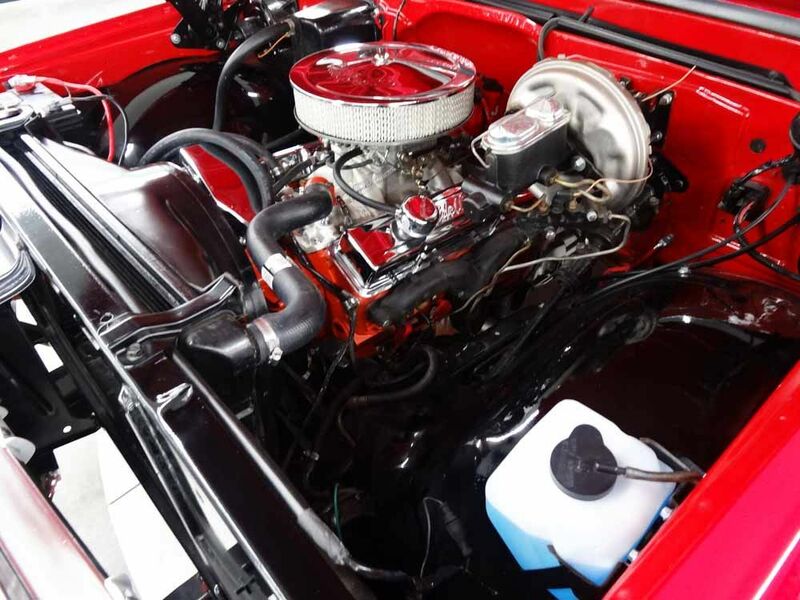 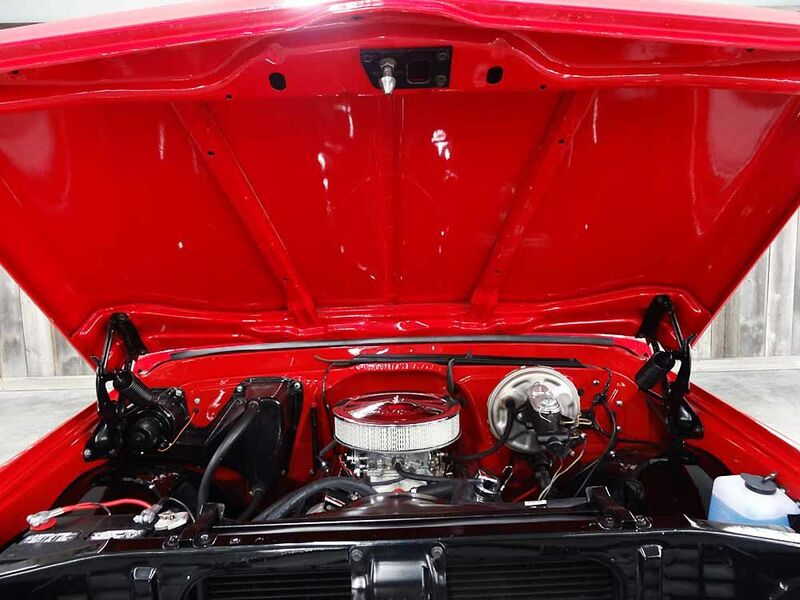 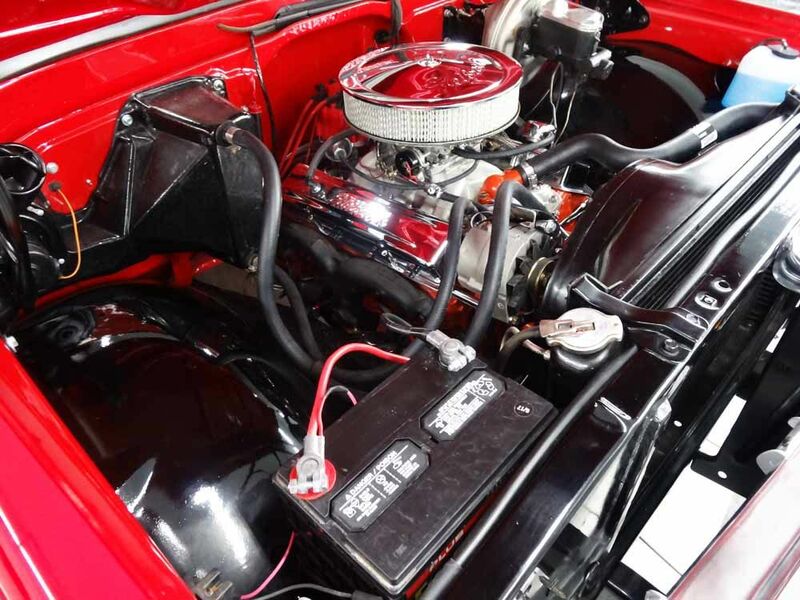 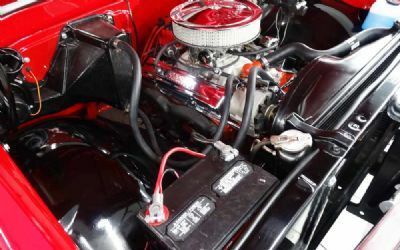 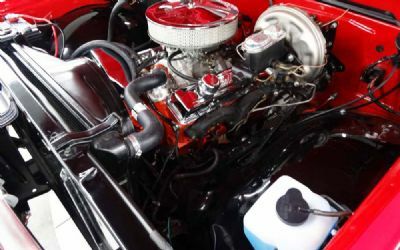 Engine – rebuilt 350 – bored 30 over – all new parts – fuel pump, water pump, starter, alternator,regulator, plugs and plug wires, distributor, temp switch, thermostat, belts, hoses, heater core, Edelbrock carb. 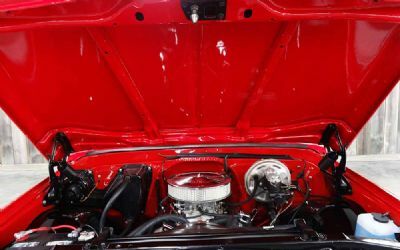 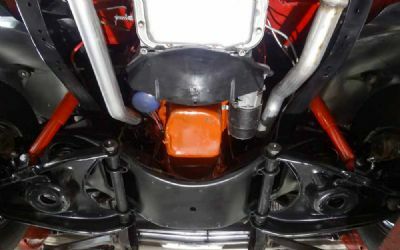 Manifold, valve covers – air cleaner. 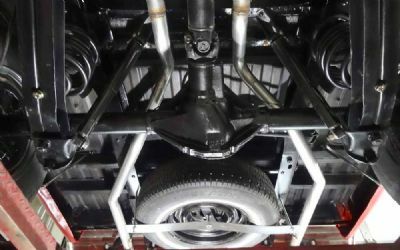 Frame and front end parts – powder coated. 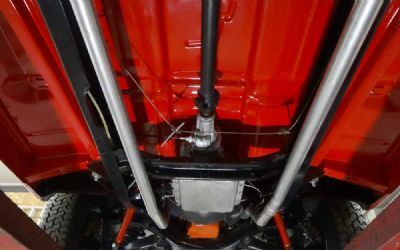 Transmission – Rebuilt 700R4 with overdrive. 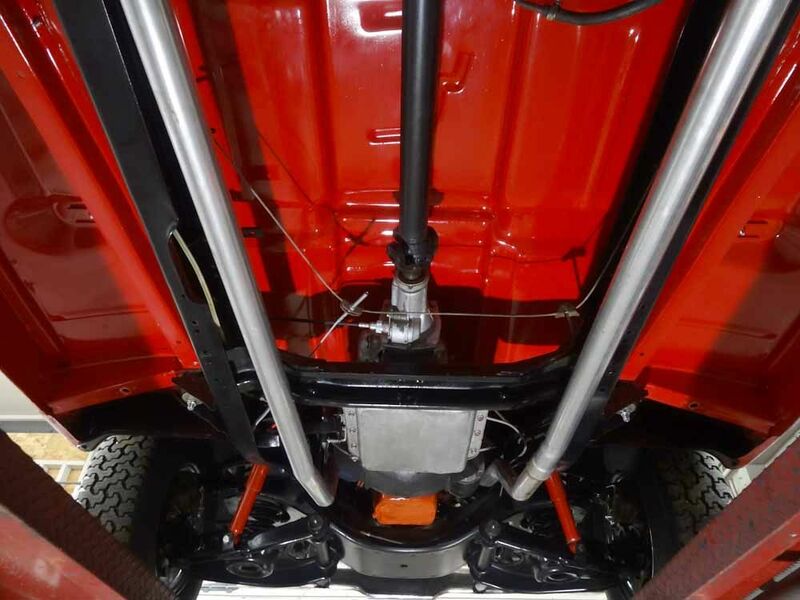 Drive Shaft – All new parts and balanced. 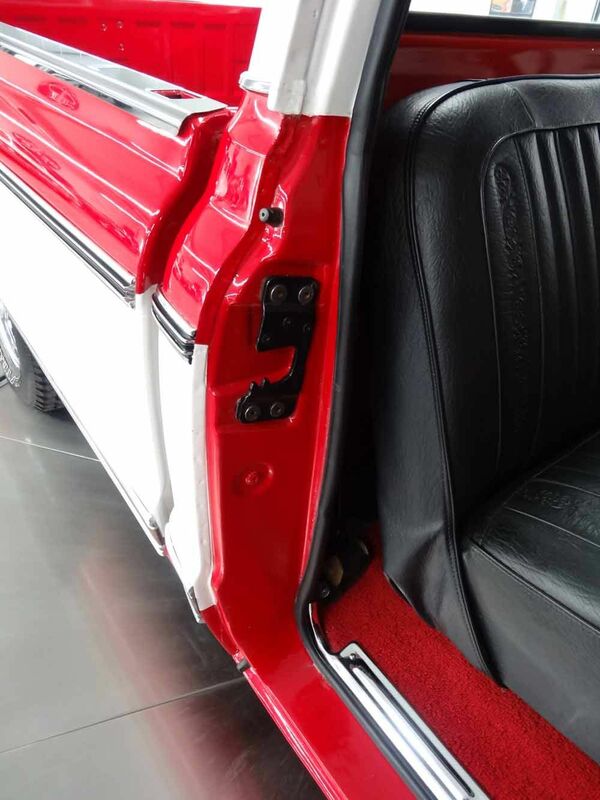 Wiring – new. 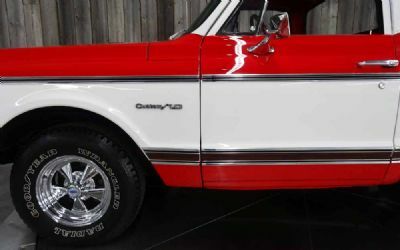 Tires – 4 New Goodyear white letters. 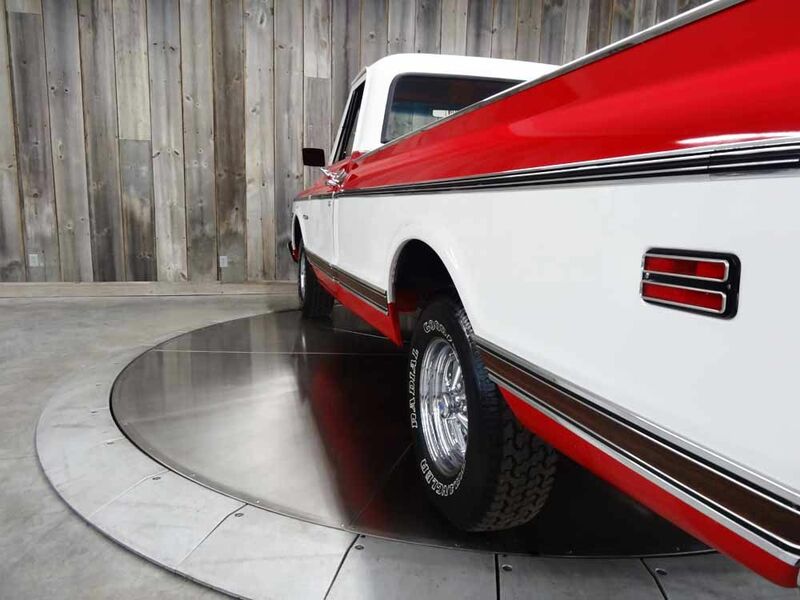 Wheels – 4 New Chrome Cragar. 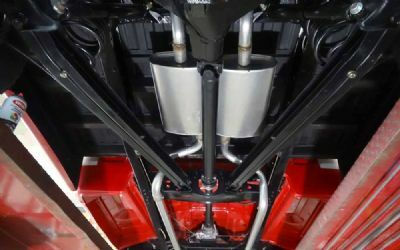 4 new Shocks. 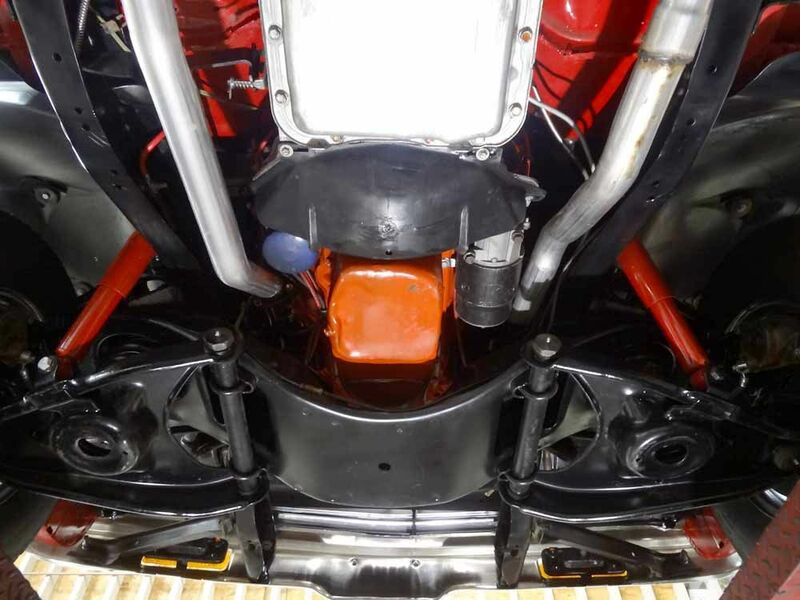 Brakes – New front calipers, pads, hoses and lines, rear shoes and wheel cylinders, hoses and	lines – new master cylinder – new front rotors and rear drums machined. 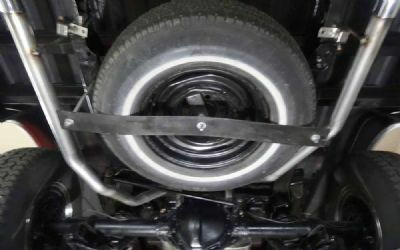 Exhaust – New dual exhaust system. 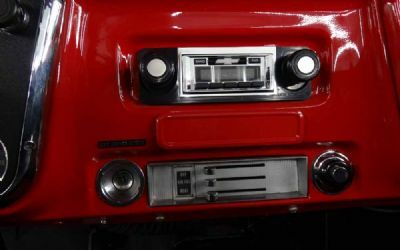 Radio – New radio, antenna and speaker. 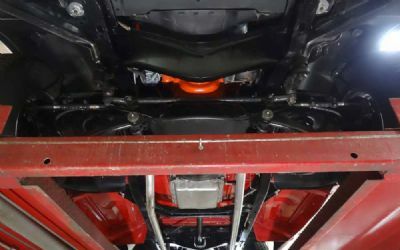 Battery – New battery and cables. 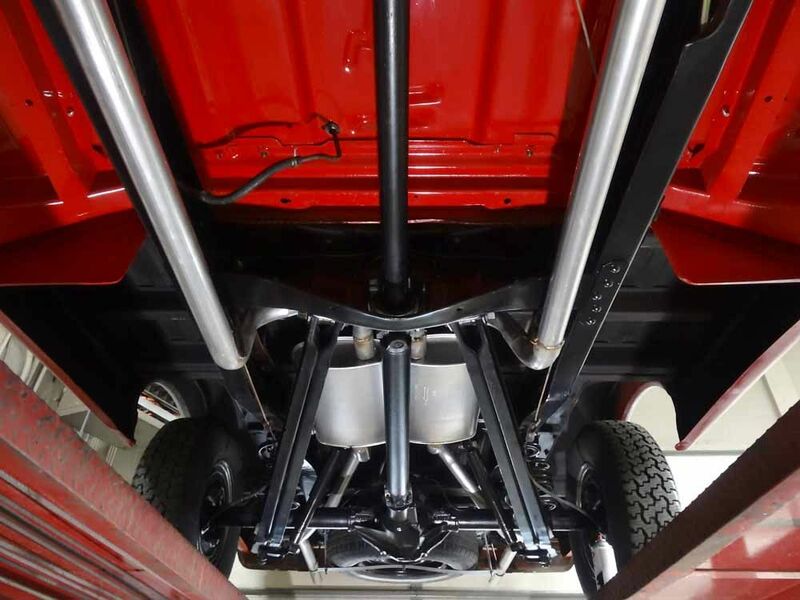 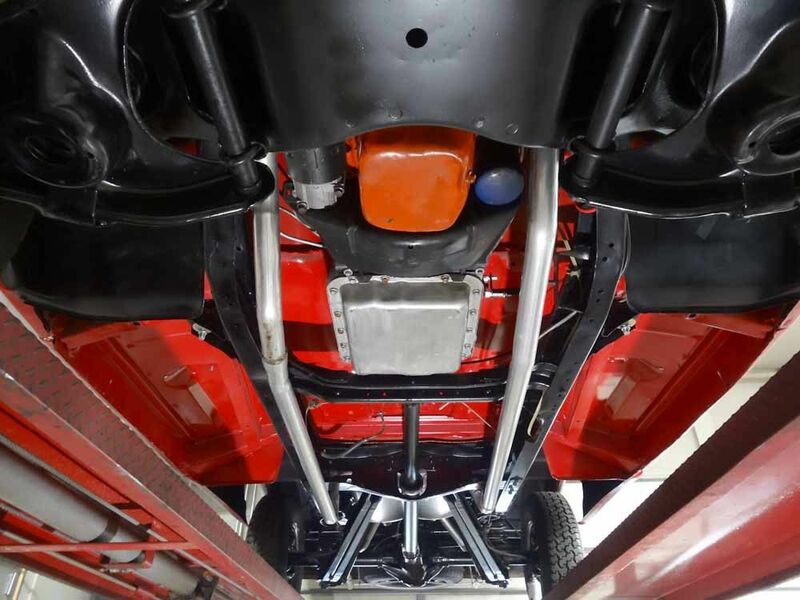 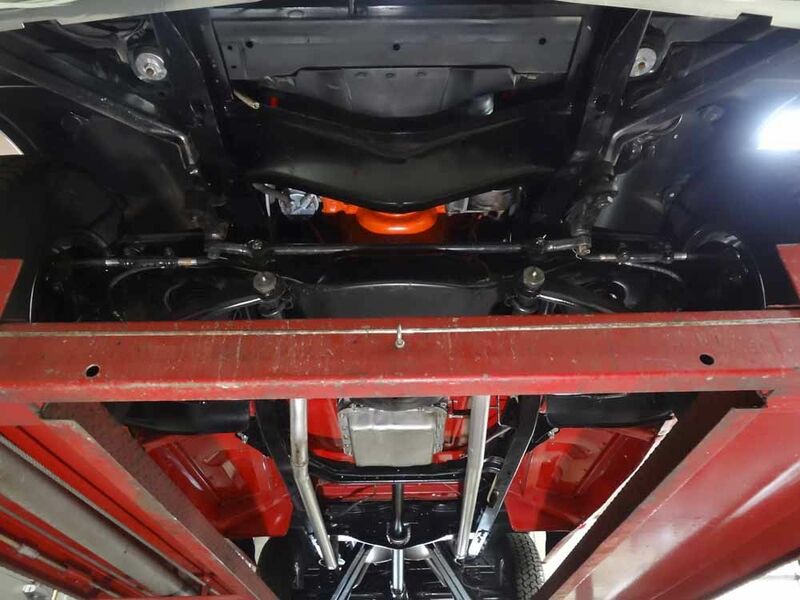 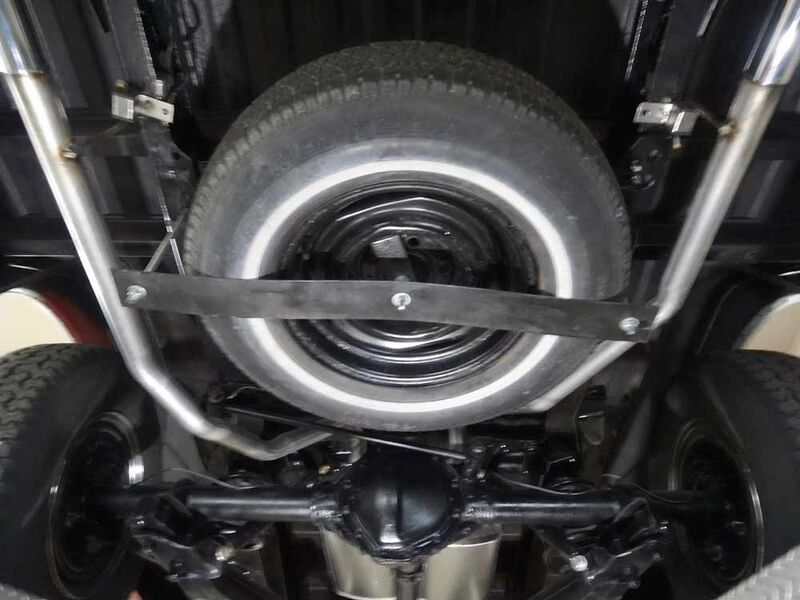 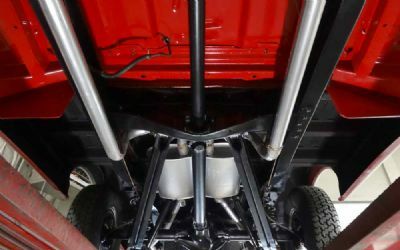 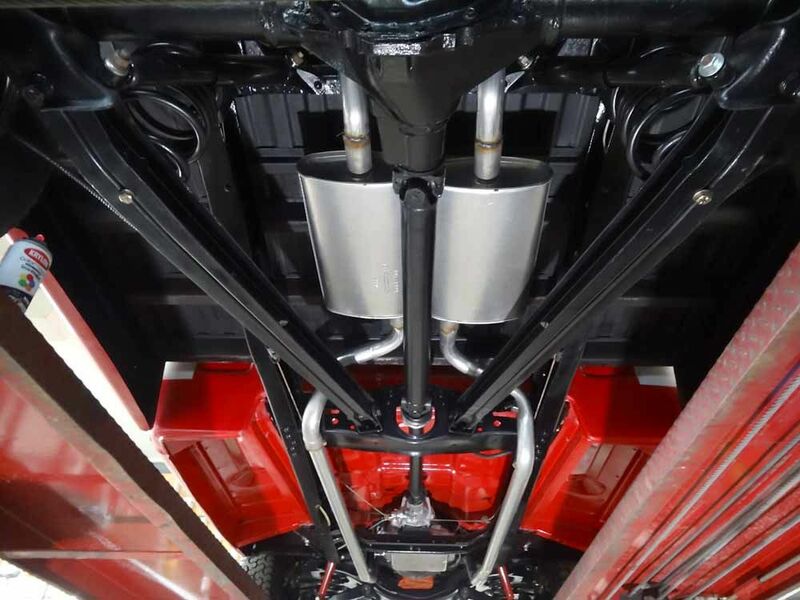 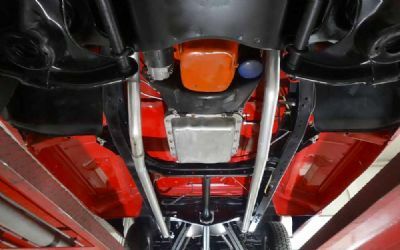 FRONT END – New coil springs, tie rods, ball joints and “A” frame bushings and arms kit – new trailing arms and rear springs. 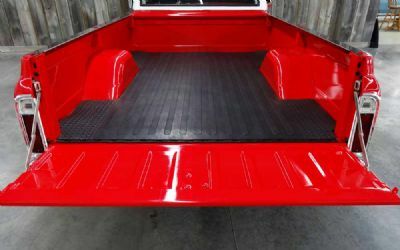 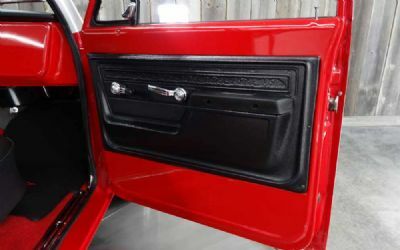 New Floor – Doors, front fenders, cab mounting kit, new tailgate, all new side moldings, front and rear bumpers, grill, inner fender walls. 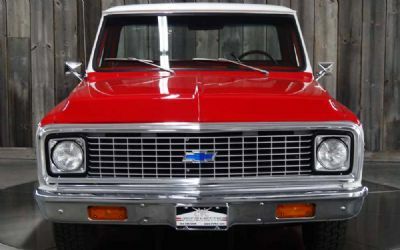 New lenses - headlights, all rubber moldings, gas sending unit. 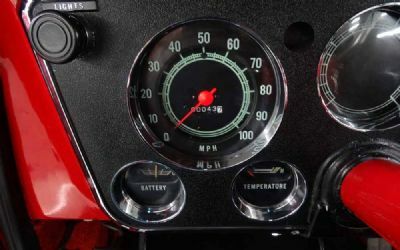 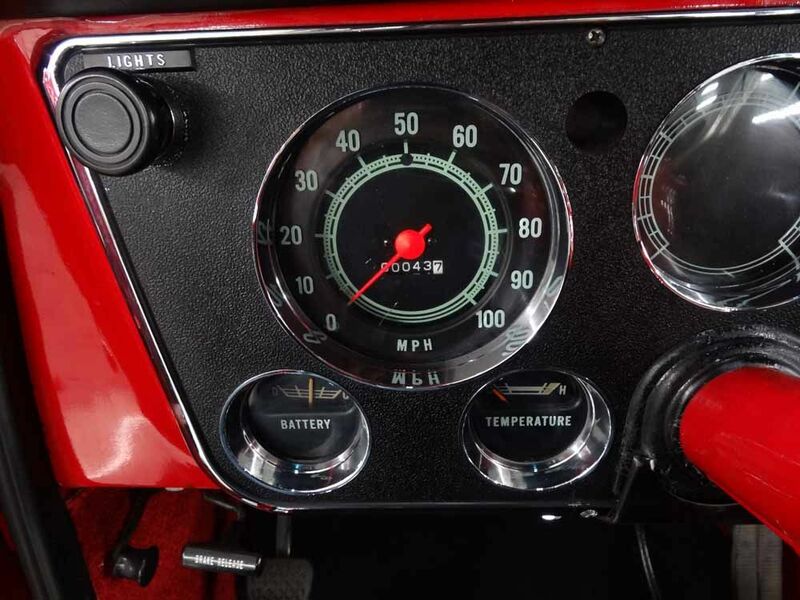 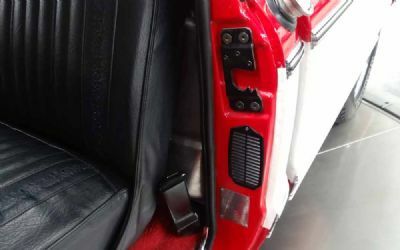 New speedometer and cables - emergency brake cable – new side marker lights, windshield, new steering wheel, glove box, washer tank. 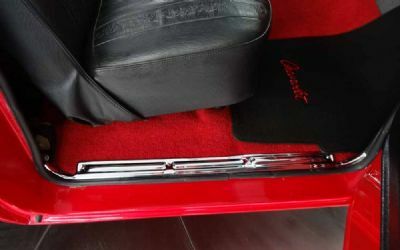 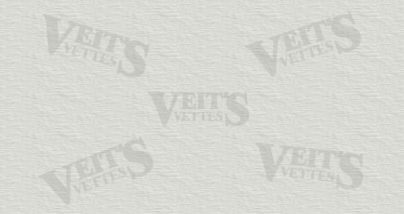 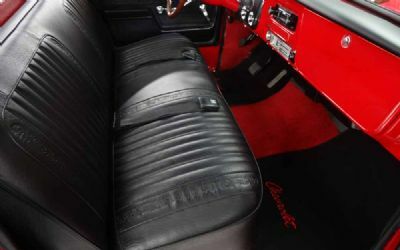 New - seat covers, door panels, carpet, cigar lighter, instrument cluster, outside and inside mirrors, floor mats, thick rubber bed mat. 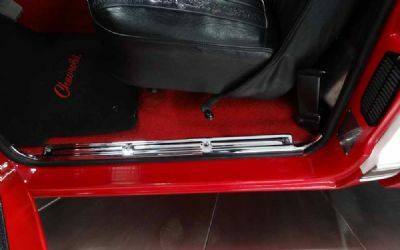 New - Metal wiper arms with new wiper blades. 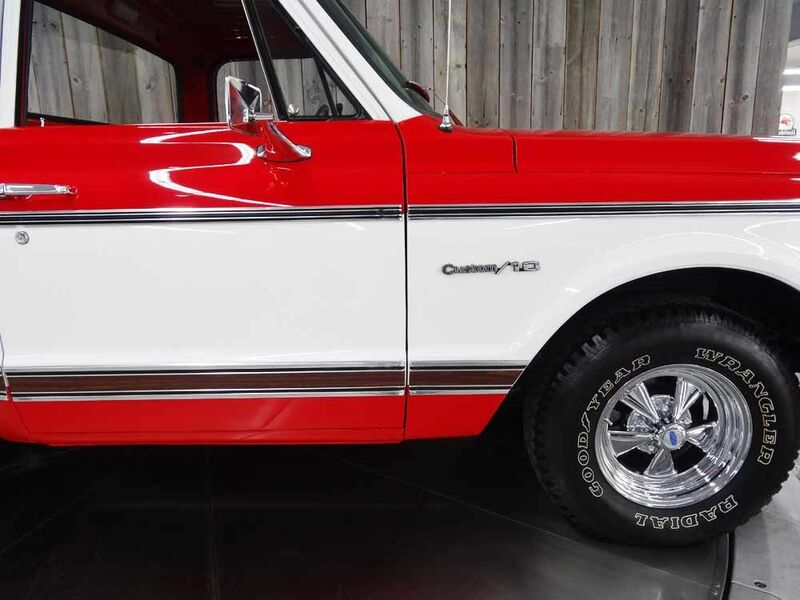 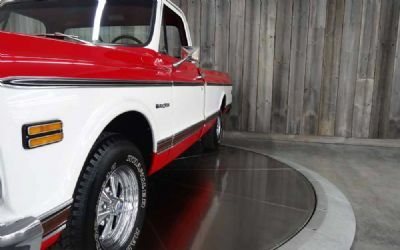 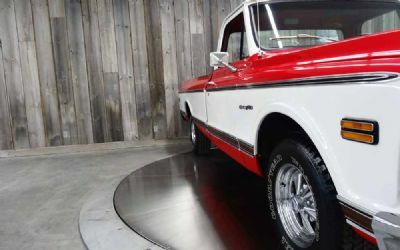 This great truck, new and ready to enjoy only has 43 miles since it's complete restoration was completed. 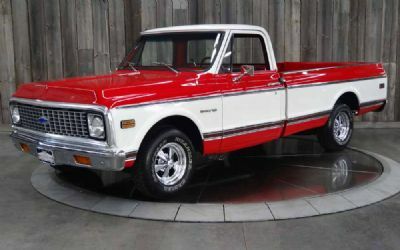 Drives great and sounds perfect.